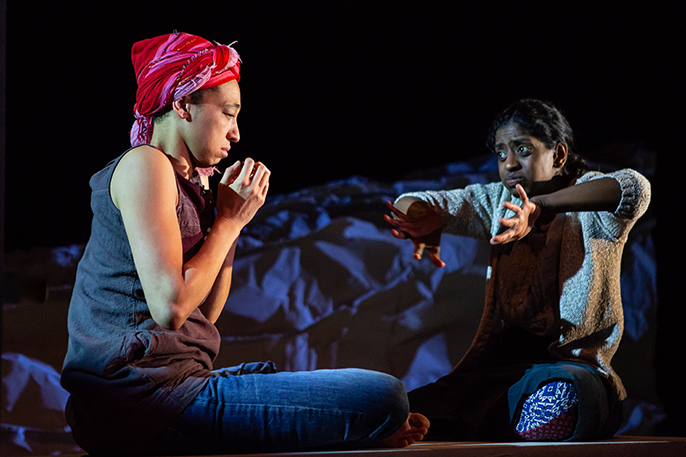 Set in an unknown part of the world, we are introduced to Nour, played by Charmaine Wombwell, a young girl living with Youmna, played by Nadia Nadarajah. The play details Nour’s journey to the UK alone and her life here after living with Youmna, the only mother she has known. Youmna is D/deaf and teaches Nour her language, sign language. Both their duality and oneness are shown. The many contrasts between the two can’t diminish the connection they have with one another shown so tenderly by Wombwell and Nadarajah. Nour’s journey from her homeland begins after being told to dress like a boy by Youmna, “It’s not all children’s stories happen to children.” A startling thought but reality for many. Her journey to the UK is a tense watch for the audience. Womanhood is intrinsically woven through each of the acts keeping Nour connected to Youmna, who loved her like a daughter and sent her off as boy to protect her so she could live her life as a woman how she wanted. A magnificent use of photo and video projections on moving panels coinciding with Nour’s shifting surroundings makes the audience fall into Nour and Youmna’ s world. 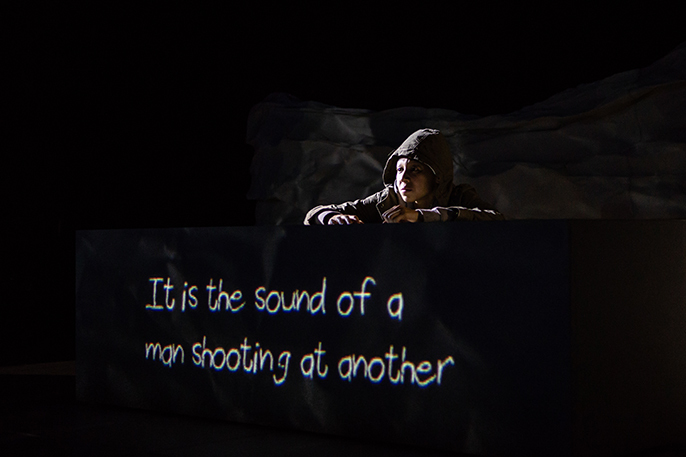 The signing and worded projections make the show fully accessible to deaf audiences. It really is masterfully done by director Omar Elerian. 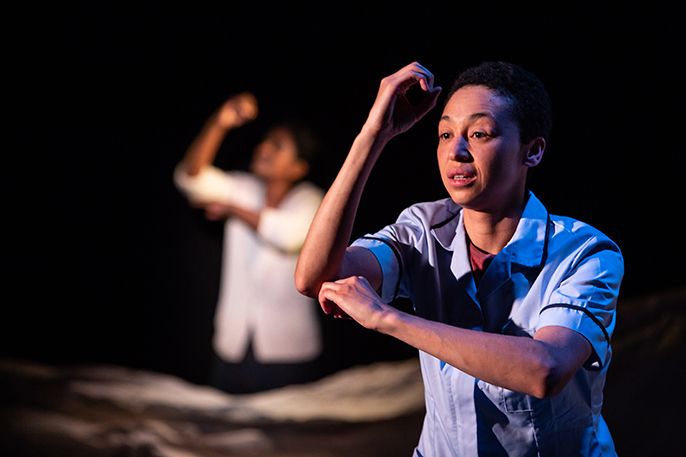 This play is something that needs to be seen, felt and experienced. The play originally written in French by Estelle Savasta and translated to English by Kirsten Hazel Smith, the story is easily transferred worldwide, also being shown in Spain, Canada and soon Mexico. A hopeful struggle - the disparity of leaving one home in an attempt to create another, safer one with a multitude of risks while still being tied to the initial place, sometimes with no hope of going back. It is something we’ve all seen in the media more and more throughout the years. Savasta tells this tale in an insightful, touching way with an intimate look at these kinds of decisions and what it leads to. 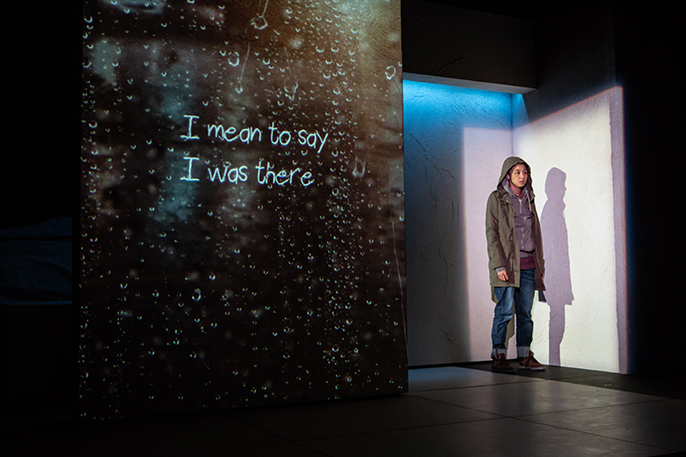 This play is something that needs to be seen, felt and experienced - hopefully opening more cognizance on this topic where it has been difficult for people to address before.